I love this ring. 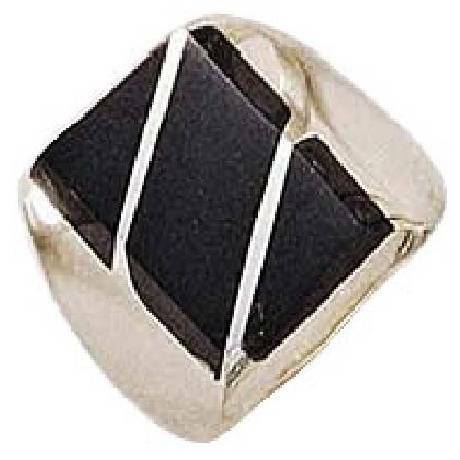 If you're looking for a sharp and unique silver onyx ring, with particularly stylish stripes that doesn't look dated or tacky like other onyx rings, this one is a keeper. Keep in mind, the ring does have a minor base due to the stone, not excessively so, but wearing it with gloves on may be an issue for some. 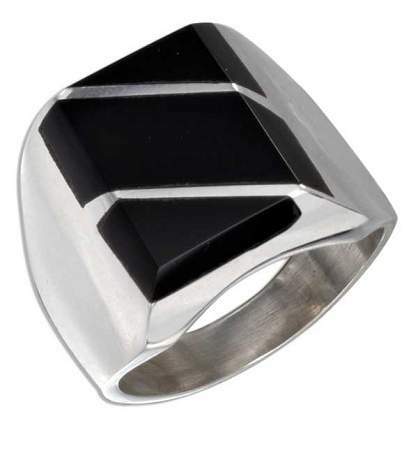 Nice and heavy, very masculine and attractive ring. Good looking and comfortable.